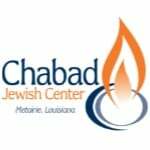 Chabad Jewish Center is proud to host a Shul (Synagogue), which has a warm family atmosphere for people to daven / pray. This is a place for anyone, regardless of level of observance, knowledge or background. One does not have to be religious, Orthodox, Conservative or Reform to join! We have Hebrew English Siddurim (prayer books).